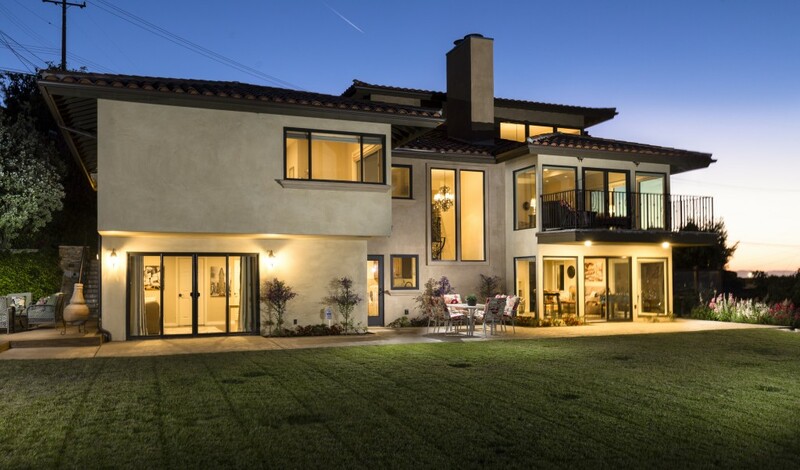 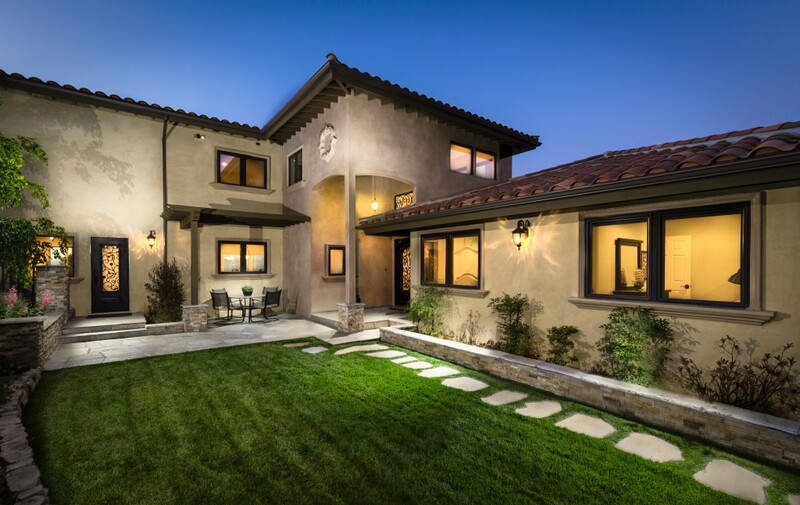 If you’re in the market to purchase a luxury home on the Palos Verdes Peninsula in the South Bay of Los Angeles, don’t miss 21 Cayuse Lane in Rancho Palos Verdes. 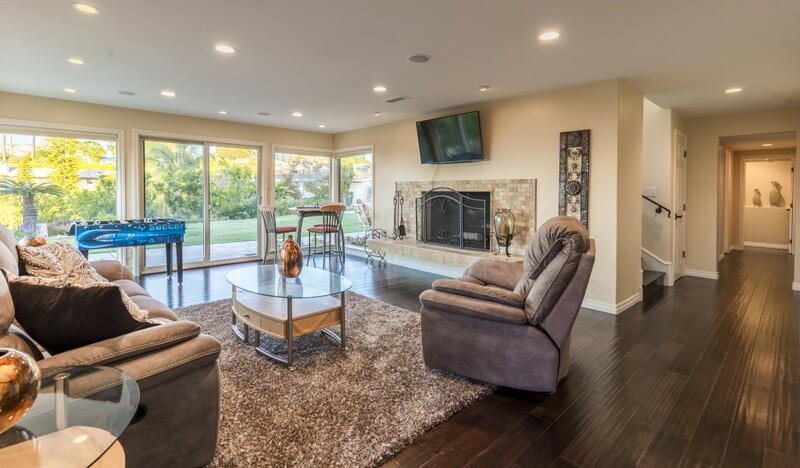 The four bedroom home was remodeled and expanded in 2016. 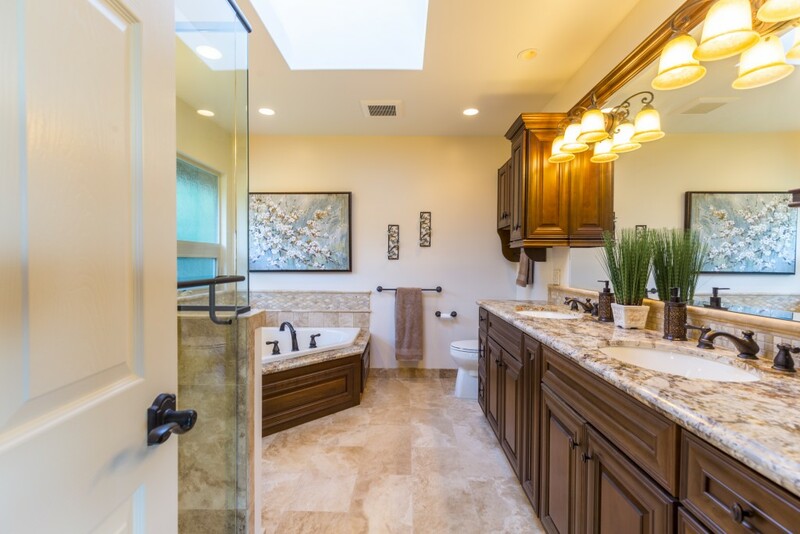 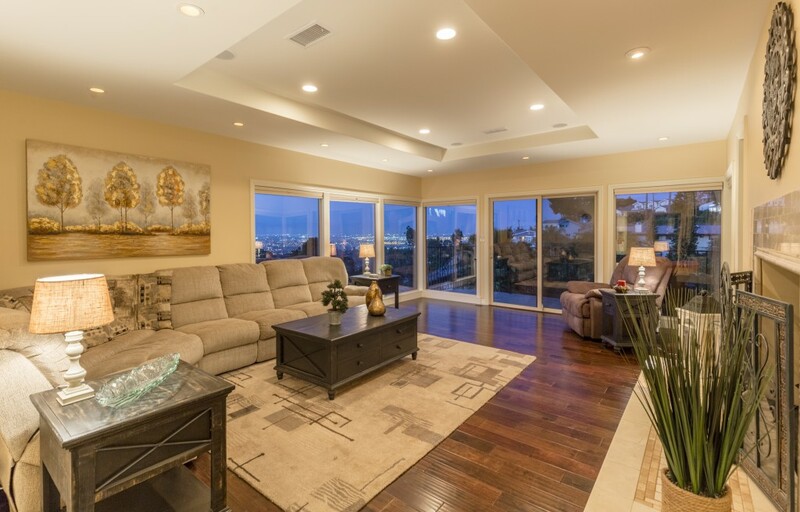 Stunning remodel (a Russ Barto design) was completed in 2016 and takes full advantage of the panoramic views of city lights, mountains, and canyons. 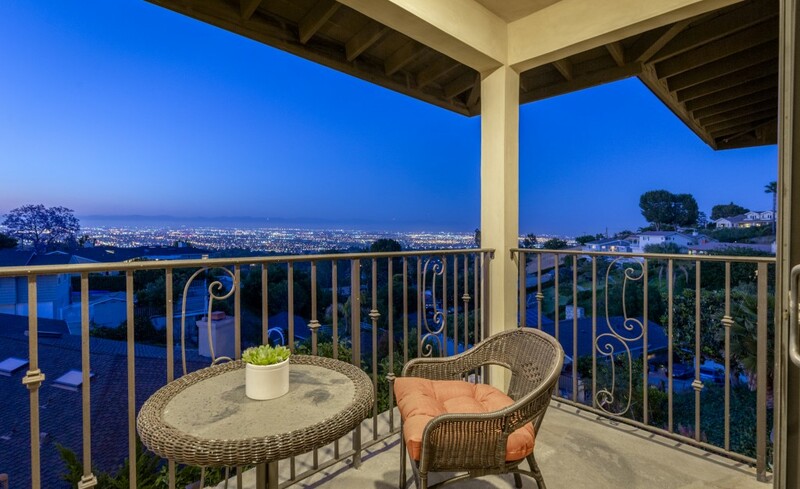 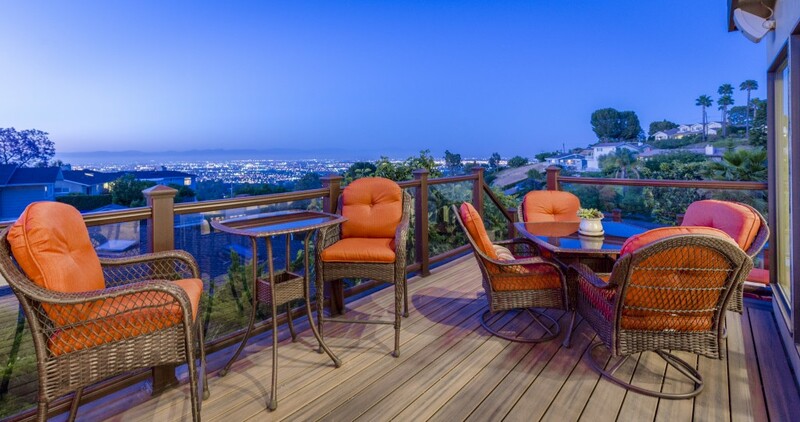 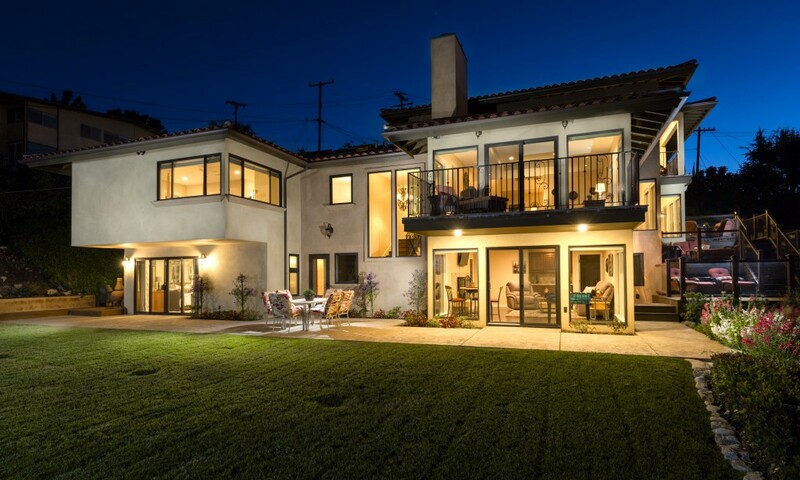 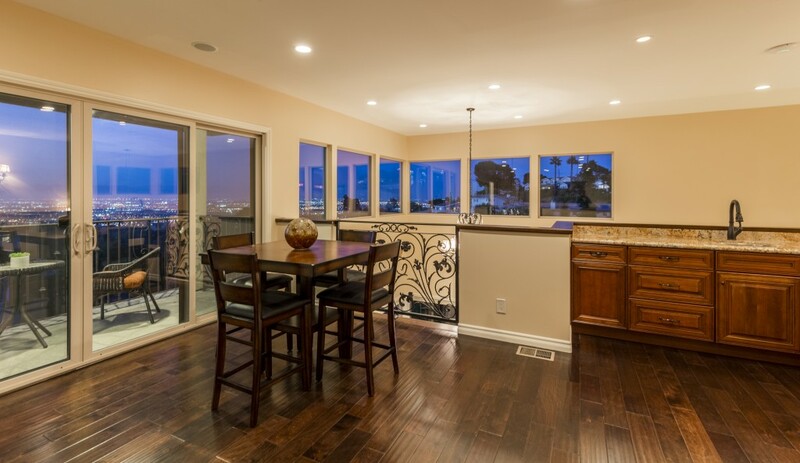 Palos Verdes is noted for its views and this residence showcases the view to perfection. 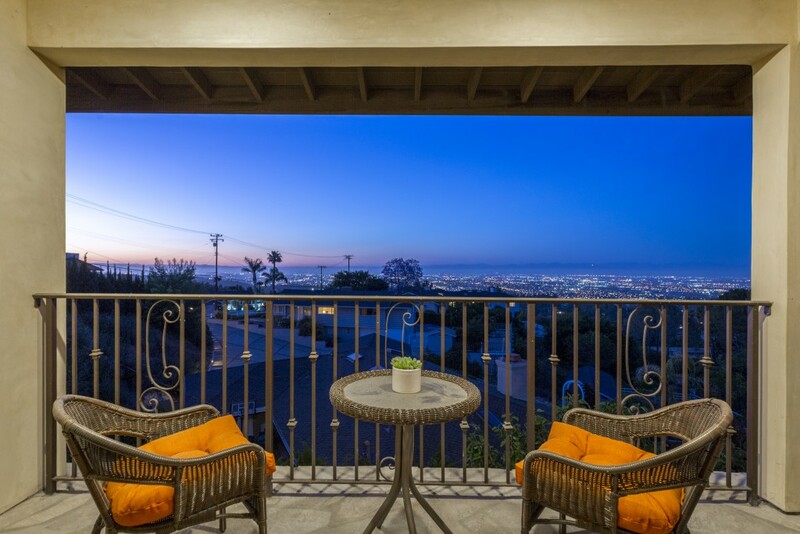 The stunning architecture with its walls of windows captures the panoramic city and mountain views during the day and provides a dazzling display of city lights at night. 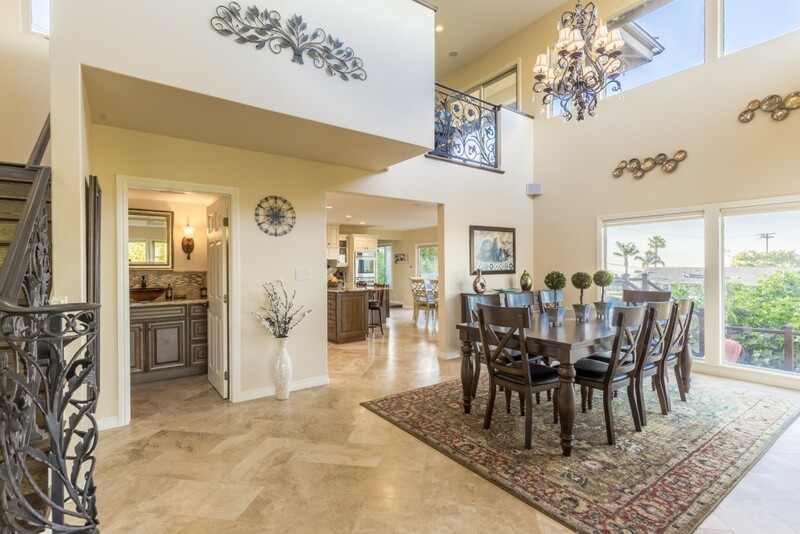 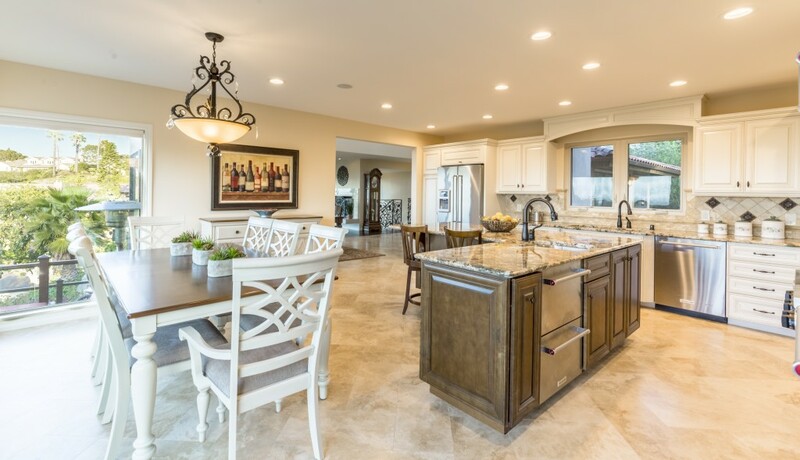 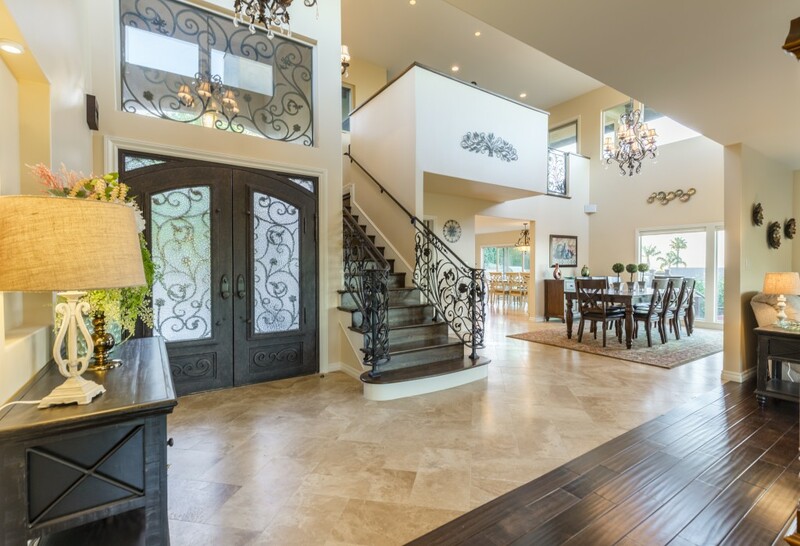 The open floor plan includes soaring ceilings, wood floors, and high-end finishes. 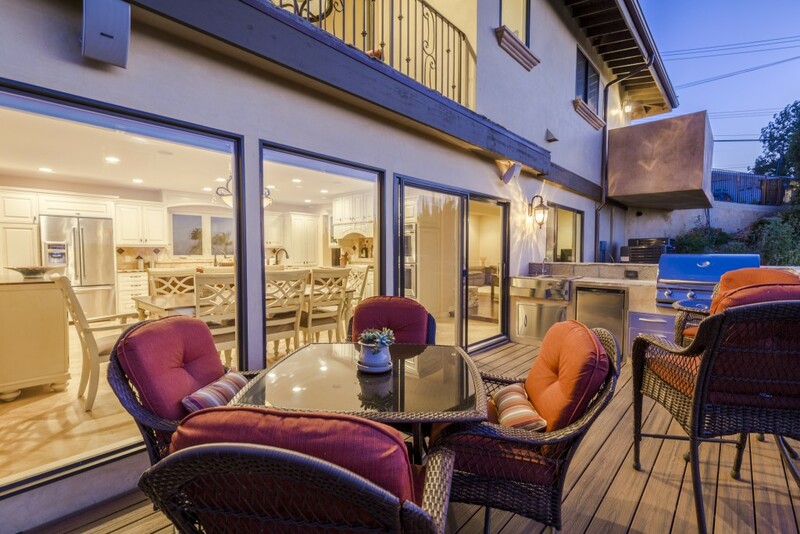 The multiple decks and patios invite residents to enjoy the indoor/outdoor lifestyle so unique to Southern California. 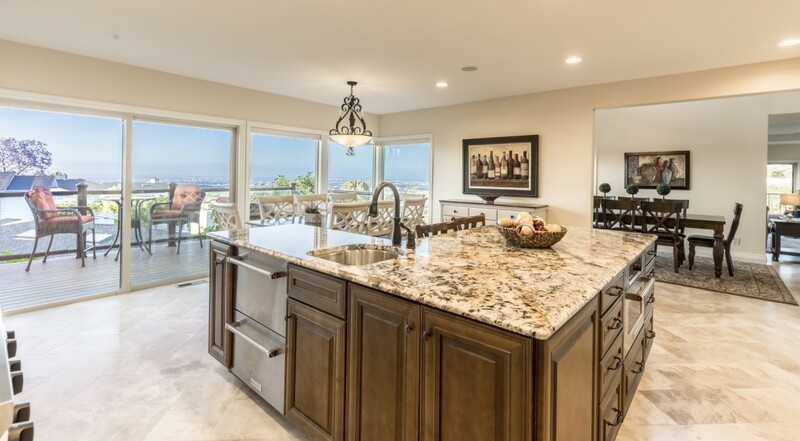 Imagine having access to this fabulous kitchen conveniently located steps away from the formal dining area and the family room. 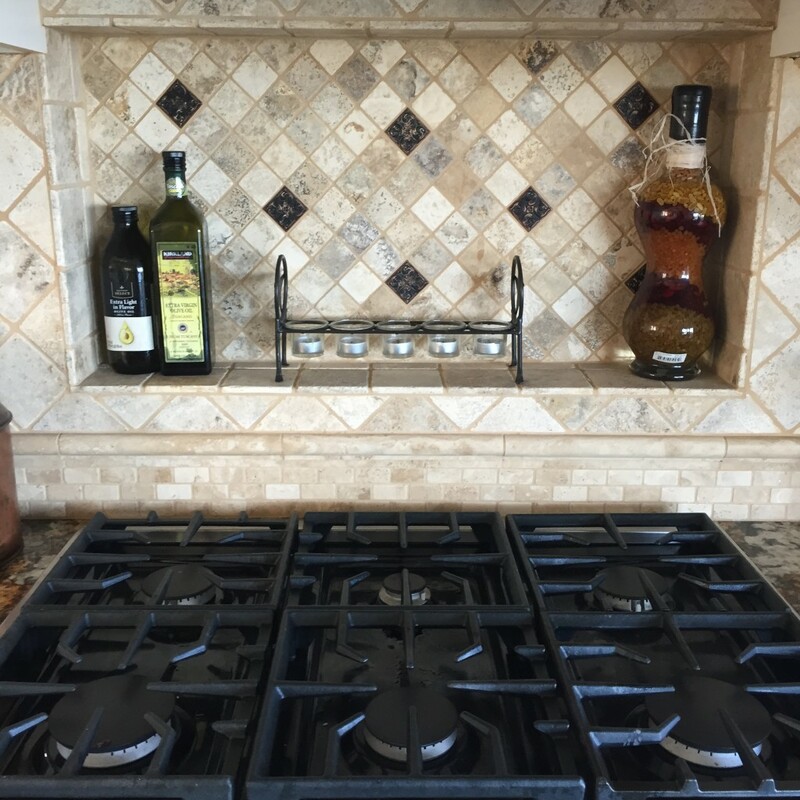 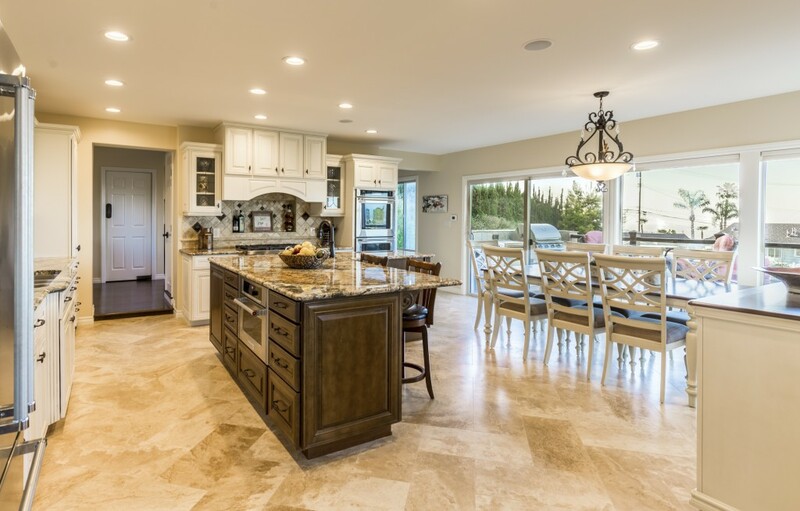 The kitchen is equipped with high-end cabinetry, top-of-the-line appliances, family dining area, and offers direct access to the grilling deck. 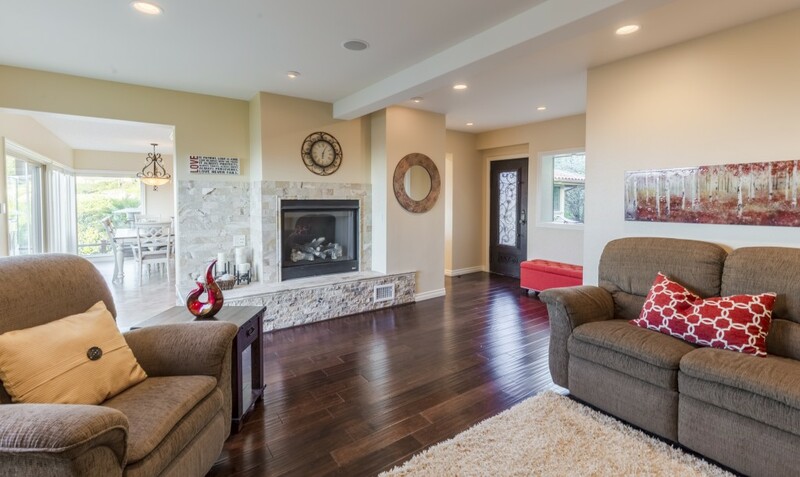 The interior floor plan is a delight to the eye and offers easy living as each room connects and flows effortlessly from one space to another. 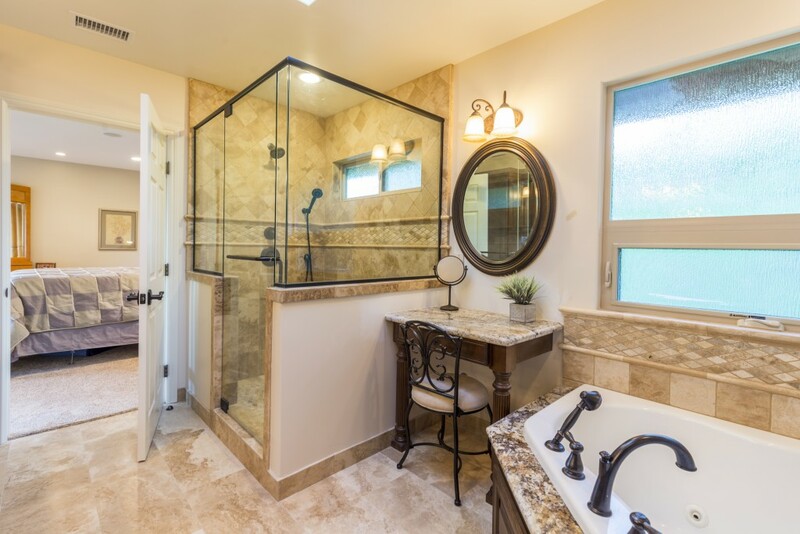 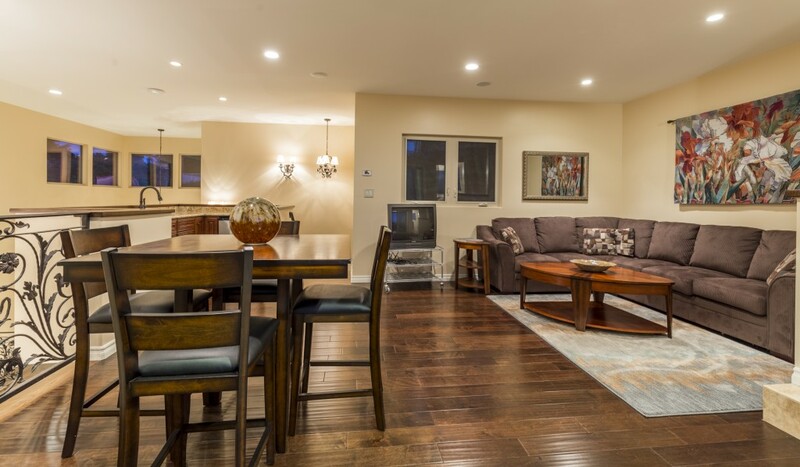 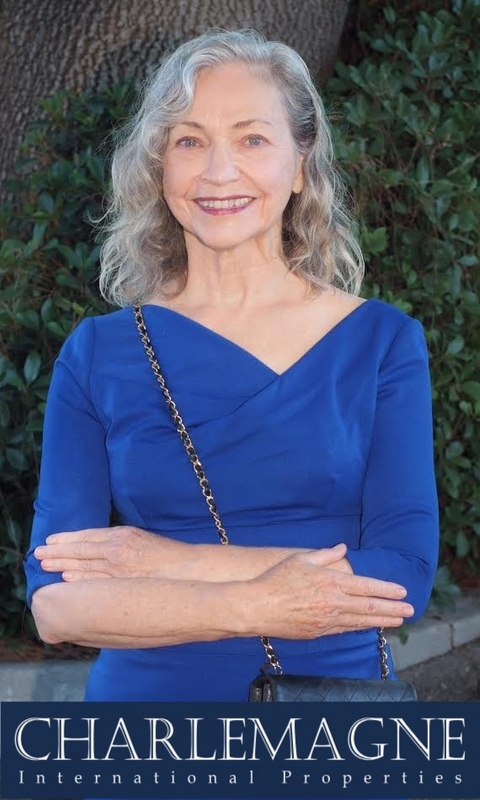 The approximately 4300 square ft. property was recently remodeled and expanded to includes formal living and dining rooms, separate family room, loft, and a lower recreational room with direct access to the expansive lawn. 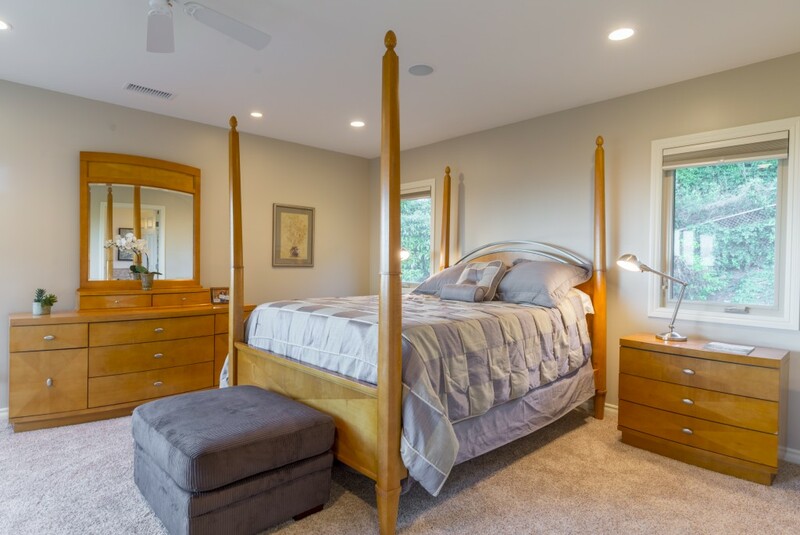 Three bedrooms, including the master suite, are located on the main living floor of the three-level home. 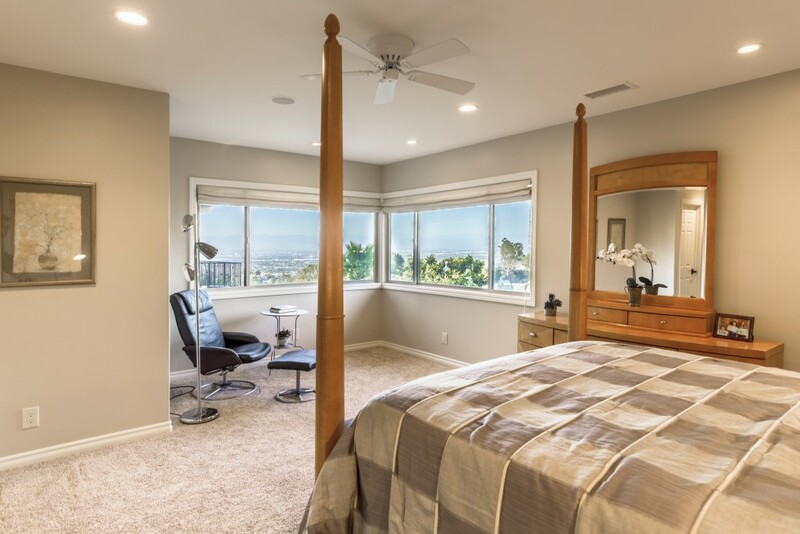 The fourth bedroom is located on the lower level. 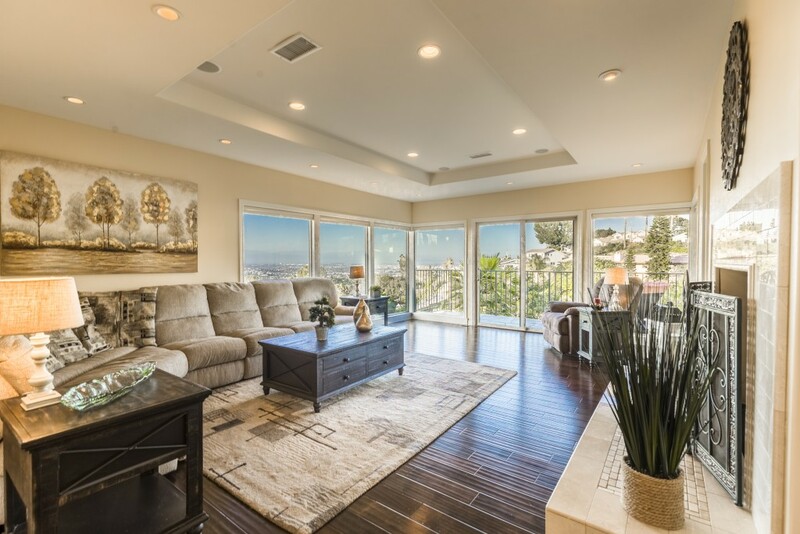 Contact Norma Toering at 310.493.8333 or Norma@CharlemagneProperties.com to arrange your personal tour of this magnificent home.